Mother Krysta Davis and father Derek Lovett carried baby Rylei to term so her organs could save others. Baby Rylei developed anencephaly, which meant her life was fated to be short from the start. CHATTANOOGA, Tenn. — A Tennessee couple knew their baby would not live long if she was even born, but they decided to carry her to term so her organs could save others. 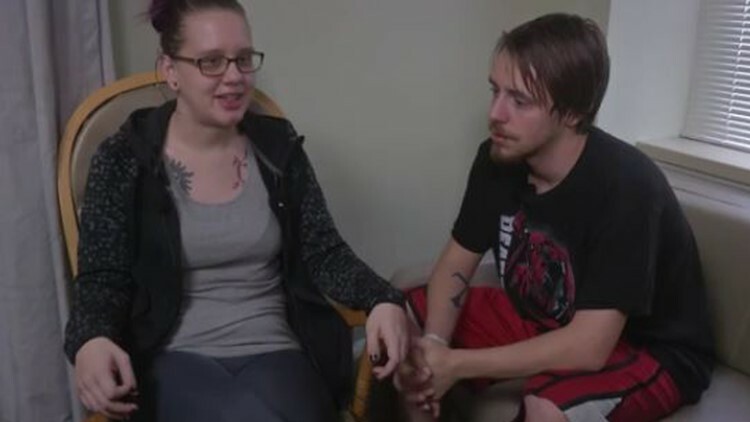 Mother Krysta Davis and father Derek Lovett told CBS affiliate WDEF the pregnancy started out normal, but tests later showed baby Rylei had anencephaly, a fatal condition where the infant's brain is underdeveloped and the skull is not completely developed. Their doctor had to break the unfortunate news. “He was like just know if you do carry her to term, that you will be able to donate her organs if that is something you guys are interested in,” Davis said. “Well, the way I looked at it too, was if I couldn’t bring my baby home, at least other mothers could bring theirs home." Rylei lived for a week. Her parents say they were grateful to have the time with her. Rylei successfully donated two heart valves to two lucky recipients and both lungs for research.